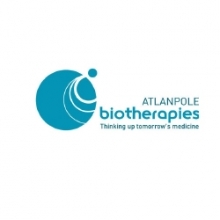 Biopredic International sells all over the world biologicals products and reagents for reserach and developement of therapies and xenobiotics. Since 1993, we’ve been providing a wide range of primary cells, tissues and fluids derived from skin, liver and blood. Our main products, from human or animal origin, are hepatocytes, skin layers, plasma, le serum and HepaRGtm cells. HepaRGtm cells, representing the topic of more than 450 publications, are distributed by Biopredic International and its partners such as Lonza or Millipore Sigma.